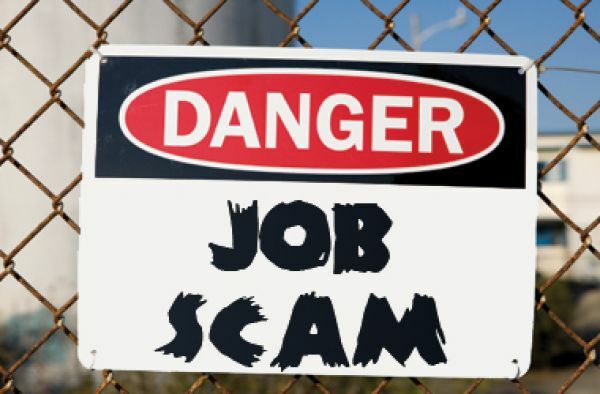 Unfortunately there are many stories about people that are scammed while trying to find a job. Most of the times they are asked for money for jobs that do not exist, they are presented with something different from what they were told or in extreme cases slavery. Before i came to the Netherlands it was offered me a job in Uk , to work in Oxford in BMW. I passed the phone interview and it was promised me a good salary, expenses house payed, transport etc. When i went to the sign the contract in a company in Porto, everything was different. After i read the contract i realized i had to pay the transport, i was going to live with 10 more people and they had the power to send me from one job to another without warning. Please be careful and always read the contract, if you do not understand something ask for help. I know at least two stories from my home Country. “More than 100 people who paid 25 euros to go to Holland to work in a factory of foodstuffs were now left without transportation in Campanhã train station in Porto, with allegations of fraud. The number of people saw the announcement of jobs and published in a national daily on the Internet and applied for work to go to Holland with the promise of receiving 10 euros per hour, having signed a document and paid 25 euros each, explained Lusa several citizens who resisted this afternoon still waiting for the bus, after they have been told to be on site at 8am. By early afternoon, from about 100 people were still in Campanhã about 50, and some sold their cars and other property to leave the family to stay in Portugal, said Victor Gualdino, 36. Several gifts have stressed the importance of making known their situation, since new trips will be scheduled on the 31st and early September. “What are we going to do?” Asked Sylvia Day, remembering the 500 euros of income that has to pay the husband who is unemployed. Lanho Paula, 41, said that the person who had contacted a vehicle registration and Dutch have housing in Guimarães, although now resides in Holland. My name is Hugo, I’ve been in Holland, living in Den Helder, working in a factory near Lewufarden highly recognized in Holland “Hartmann” which provides the popular Albert Heijn , for those unaware is a chain of Dutch Hyper Markets unfortunately housing conditions were not the best, much less pay. This why? The when will my way, previously a good friend of mine went to that town, which will by luck or bad luck in the future, just became almost a week, this Turkish master, Ivo, it stands for Den Haag where he had work guaranteed every weekday in gardening under the leadership of the real boss of this temporary employment agency “Together Diensten BV”. What did not happen to me in Den Helder, leaving me there a month. This situation to reach the payday, almost a week after the day agreed, I was paid less money than expected because my order told me that was the way that Ivo had to imprison labor that house in Den Helder Zuid, as everyone fled from there, or due to pay, bad environment created by some people, people these D ª Amelia (tureen house), or Grace, which created often misunderstandings that forced the Turkish ( Chief Kate), come from Den Haag Den Helder to conceal the events and even using inappropriate ways to do so, citing words heard by me that the ancients sometimes recurred physical violence. I was one of those who walked out without saying anything, inventing a toothache for not working that day would never see the money. However, this friend of mine who lived in Den Haag 3 months ago, shared house with 4 people, two couples, one of those couples Portuguese, Miguel and Adriana Ribeiro, who apparently following his words were very good people etc, came to know Miguel this, and indeed showed great character. This couple just by the Portuguese get a job in Zwolle, a small town on the outskirts of that city, which will both said they worked there previously. Work in this sector would be the bulbs, which work for 6 months for 12 hours daily including Saturday morning, which equaled the end of the month € 2500, € 100 off the weekly food allowance. All very well because of the confidence that was my friend, and worked together and by what appeared, made some new friends. Turns out I get a call saying that Adriana would need more people, and if someone knew, but that each would have to make a payment of 100 € each to secure place because many people had given up. I found it odd, but I that my friend, the uncle of my friend, another friend of ours and a colleague of mine who was in Den Helder with me, none of us paid that amount. Hence the situation still remain credible. It turns out that because of this whole credibility, I help a friend, I paid 100 € for him, offering him the chance of life. Comes to the conclusion today, after waiting in a place that my friend Adriana matched by that of the mother will deliver the same ticket, which would advance to Zwolle, it appeared, phones off for 3 days, both Miguel ( +31657512232) as Adriana (+31657090254), even the e-mail (adrianaderibeiro@gmail.com), where supposedly sent the documentation needed it no longer exists, because when you send, you get an e- mail saying that. Now, I’ve bought two tickets for me and this fellow who wanted to help, with a value of 100 € with trip to date October 10, I will have to take the good friends I made in Amsterdam who offered me shelter, and seek something there waiting for some luck in this whole mess. I leave this great will, because it is an example that I thought fit to pass to all of you, so that luck is smiling more who read. Detail was, because you never know about tomorrow because today was me, tomorrow it may be you who is reading at the moment, right? And finally, I want to make the question of who can help me to find a job, or know someone who can trust who knows something, that something will have to be unskilled labor, and fluency English. Thank you for your space. When i read this kind of thinks it revolts me, more even when is someone from my Country cheating another from the same Country. I decided to publish a new page in this blog where i will expose the name, address, fotos, etc all the information that is provided to me from this people who make a living from the suffering of others. If you passed for a similar situation please let me know everything about it. If you have names contacts, fotos, etc send them to foreignerlife.blog@gmail.com so i can publish them in that page. The page is under construction and it will be ready till friday. The opening day is on Saturday 22. Remember i cannot do this without your information. If you are afraid of saying your name , use a different one or send it anonymously . We should know the faces and names of the people and companies that make money unscrupulously. Tenho estado atenta a este blog, e desde já digo que gosto muito do que tem publicado. Nos próximos meses pretendo emigrar para a Holanda, e talvez tenha encontrado trabalho. Digo “talvez”, porque encontrei um anúncio em que pediam trabalhadores para a Holanda através de uma empresa de trabalho temporário que aí existe. A empresa chama-se Blue Trading, está situada em Wormeveer e já fui contactada através de telefone (até agora pareceu tudo credível). Como também ouvi falar nessas tristes notícias que apareceram, gostava de pedir uma ajuda da vossa parte, se fosse possível. Se tivessem alguma informação sobre a empresa, agradecia muito e ficava muito mais descansada. Espero q seja então uma boa experiência e depois escreva aqui como foi. Relativamente ao alojamento é sempre bom vir já com ele tratado. No meu caso tb a empresa onde estou colocou me num local e eu passado um mês mudei para outro melhor e à minha escolha. Se fosse eu aceitava o alojamento por um mês ou dois e depois tentava achar algo por mim. Na pagina de links tem lá o atalho para páginas onde alugam quartos apartamentos ou casas. Sempre q alugar faça o sempre q possível por privado, se for através de uma agencia terá de dar um mês à mesma. Mais uma vez boa sorte e ficamos aqui a esperar noticias suas. know you can twit this. Just go to the main page, and on the bottom right.